Gervinho: Impressed on first apperance at the Emirates. 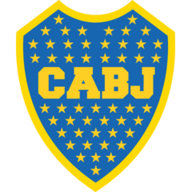 Arsenal's weakness in defence came back to haunt them again as Boca Juniors came back from 2-0 down to force a draw in an entertaining Emirates Cup clash. Goals from Robin van Persie and Aaron Ramsey appeared to put the Gunners in control early in the second half, but mistakes from Sebastien Squillaci and Johan Djourou allowed Boca to score two in four minutes and salvage the draw. It was not all negative for Arsene Wenger's men though, with new £11million signing Gervinho particularly impressive on his home debut. Captain Cesc Fabregas again missed out, with Wenger admitting the player is 'unsettled' following sustained interest from Barcelona. Contract rebel Samir Nasri was named in the starting line-up. 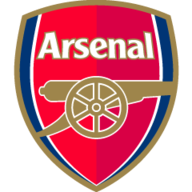 The Gunners made a flying start and felt they should have had a penalty in the opening stages when Jack Wilshere was pushed in the box but referee Martin Atkinson waved played on. Gunners new-boy Gervinho was involved in the game's opener; tearing down the left flank before crossing for Van Persie to slot home at the near post after 27 minutes. Arsenal continued to dominate and were perhaps disappointed not to have added to their tally before the break. However, they didn't have to wait long in the second half to extend their lead, Carlos Vela teeing up Ramsey to fire home from 20 yards straight from the kick-off. Given The Gunner's dominance in thus far, a two goal cushion appeared to be enough to secure the win but when Squillaci gifted possession to Juan Riquelme with 22 minutes left, the former Villarreal midfielder laid it off to Lucas Viatri, who blasted into the top corner. Then, just two minutes later, Boca were level. Djourou contrived to fall over a ball into the penalty area allowing Pablo Mouche the time and space to stroke home past Vito Mannone. Things could have got even worse for the Londoners when Riquelme fired in a free-kick with just five minutes left but Mannone did well to push the ball away. At the other end Emmanuel Eboue fired in a 25-yard effort that fizzed narrowly wide. Arsenal now go on to face New York Red Bulls on Sunday, with Thierry Henry's side having beaten Paris St Germain 1-0 earlier on Saturday.